I Need A Skip Bins Melbourne is a fully insured and licensed company, which can deliver you with multiple skip bins to manage all of your residential and commercial waste. Consider our skip bins when you want to renovate your home or office or move them to a different place. At our Melbourne-based rubbish removal company, our goal is to make your trash elimination needs simple, professional, economical and friendly. For all your ravage management and trash bin needs, we offer a variety of the most affordable walk-in bins for rent and skips with an assortment of ecological initiatives. When you hire our services, you can rest guaranteed that you would get the highest quality and the cheapest prices in the industry. Our gracious customer service team includes specialists who will be assisting you with the economical skip bin hire for you, advise you on the price of our skip lease, and will offer an uncomplicated and a skilled experience whether your inquiry is through phone, email, or online. At our rubbish removal company, it is our goal to be ecologically aware. Any big or small items put in our rubbish bins and inexpensive skip bins are taken to our Melbourne transfer station, and they will be sorted and recycled. Therefore, you can rest self-assured that you are contributing greatly to more recycling and less landfill in the city. At our business, our aim to avoid any likely perplexity with our skip bin hire. We have been in the industry for many years and we have provided both residential and commercial owners with an affordable skip and bin hire, allowing trash removal to be available to all. We offer the most affordable bin hire in Melbourne and our services will go beyond your expectations. v Domestic and yard waste. Mini skip bins: They can hold a maximum of 35 to 40 black rubbish bags. Builders skip bins: These bins are designed to accommodate a maximum of 75 black trash bags. Big skip bins: If you want to remove 140 black bags of garbage, you can hire our big skip bins. If you would like to remove green and common waste, you can hire our affordable domestic skip bin service. Our trash removal staff will assist you greatly in eliminating things, such as tree stumps, documents and newspapers, concrete patio slabs, small rocks and debris, recyclable glass, furniture, batteries, toilets and other things desired by you to remove from your home and yard. As we do not handle dangerous materials, like chemicals, paint, or fuel, we can recommend you the current ecological regulations about their disposal. As an experienced and skilled rubbish removal provider in Melbourne, we can offer manifold skip bins to remove your commercial waste effectively. We have the correct skip bin to manage any of your commercial waste removal jobs. All of our big skip bins are designed with a back door and they are wheelbarrow accessible to offer you the necessary convenience to eliminate a maximum of six tons of your commercial waste, and our extra large skip bins are designed to accommodate a maximum of eight tons of your commercial waste. We offer commercial containers for hire at an affordable rate, which can handle about anything you want to remove from your commercial facility. We offer a cheap rate on top of our Skip Bins Melbourne, which has 100% clean soil or 100% concrete in them. We have numerous models and sizes, including skip bins for smaller refuse loads. 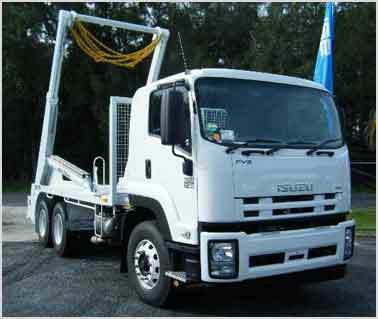 For the most economical bin hire services in Melbourne, we are your trusted rubbish removal providers. Get in touch with us today to find out the price of skip hire or order your economical bin hire online.